Penguin Series PX extended sealless vertical immersible pumps are simple in design, efficient in performance, and self-priming when immersed in solution. 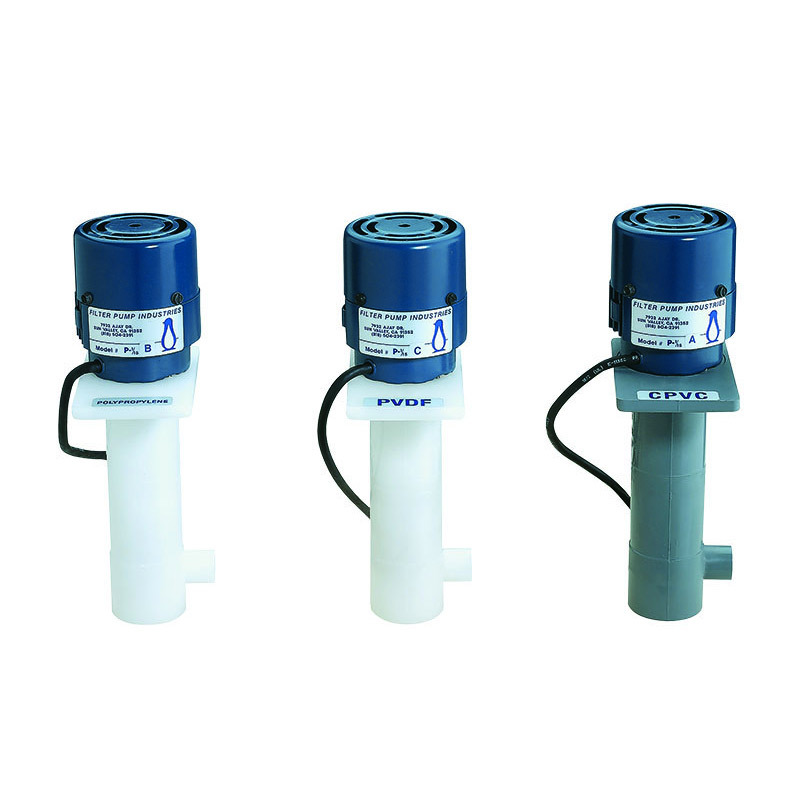 These pumps are ideal for pumping, agitating, filtering, or circulating acid and alkaline solutions, abrasive fluids, and other corrosive solutions up to 180 degrees F.
Penguin Series PX extended sealless vertical immersible pumps feature an all-plastic, CPVC design to thrive handling acids, alkalines and other corrosives. Standard motors are three phase, totally enclosed and fan cooled. Long-wearing bearing is easy to replace. Click on the model number needed or to find out the model needed, use the selector menu below. 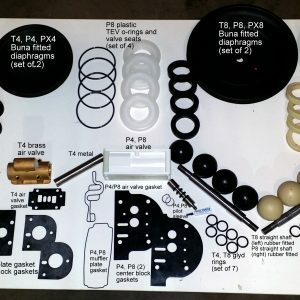 Choose the max flow up to 250 with max head 115, then the motor HP. Call or chat for free guidance! If you do not see your model number below, please call or chat! 1-2 weeks from CT. For emergencies, please call us at 203-740-1877.